Windows 10: Click the Start icon and select Epson Software > Epson Software Updater. Windows 8.x: Navigate to the Apps screen and select Epson Software > Epson Software Updater. Windows (other versions): Click the Start icon and select All Programs or Programs > Epson Software > Epson Software Updater. 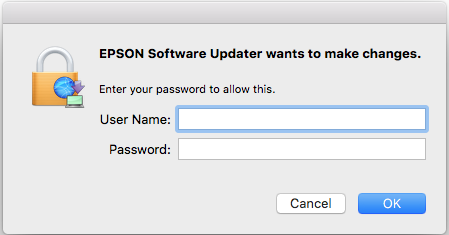 If you do not have the Epson Software Updater utility, you can download it here. Select your model from the list, if necessary. Click the Install item(s) button. If you see a message asking “Do you want to allow this app to make changes to your device?”, select Yes. Select Agree and click the OK button. 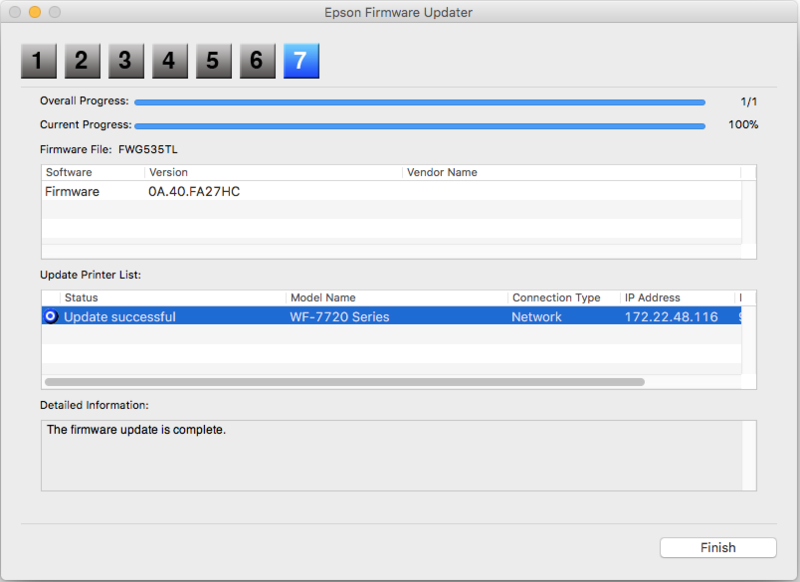 When you see the Epson Firmware Updater screen, click the Start button. Wait for the firmware update to complete before using the printer. Do not unplug the power cable or turn off your printer while firmware is updating. If your printer has an LCD screen, do not turn the printer off even if the screen turns blue or turns off. The printer will restart on its own once the update has completed. If your printer has an LCD screen, it will show the home screen after restarting. When the firmware update is complete, click the Finish button. 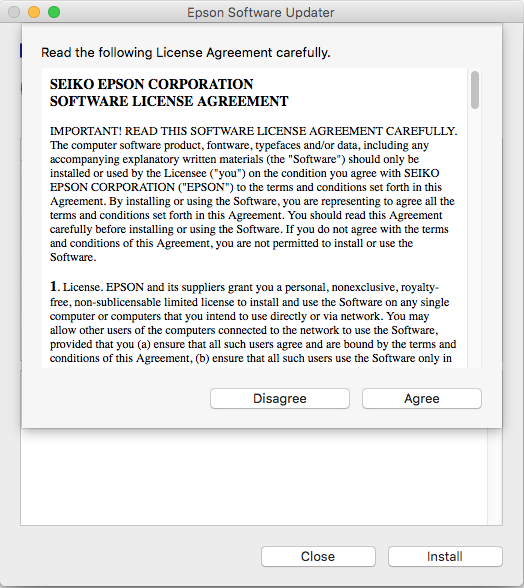 When you see a completion message, click the OK button and close the Epson Software Updater utility. 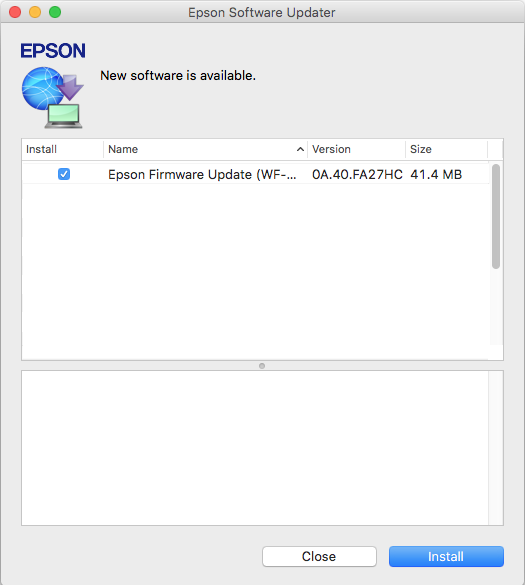 Open Epson Software Updater from the Applications > Epson Software folder. 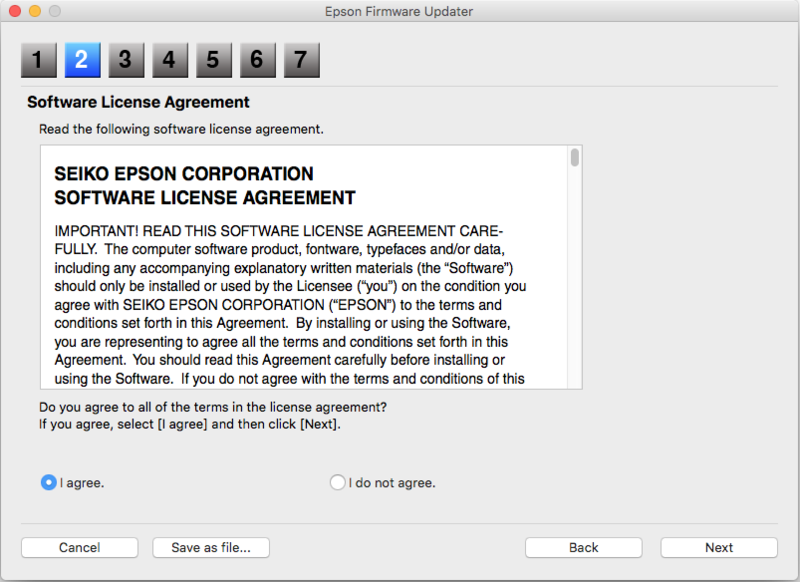 Select Epson Firmware Update by checking the box next to it, then click the Install button. Enter your user name and password, if necessary. 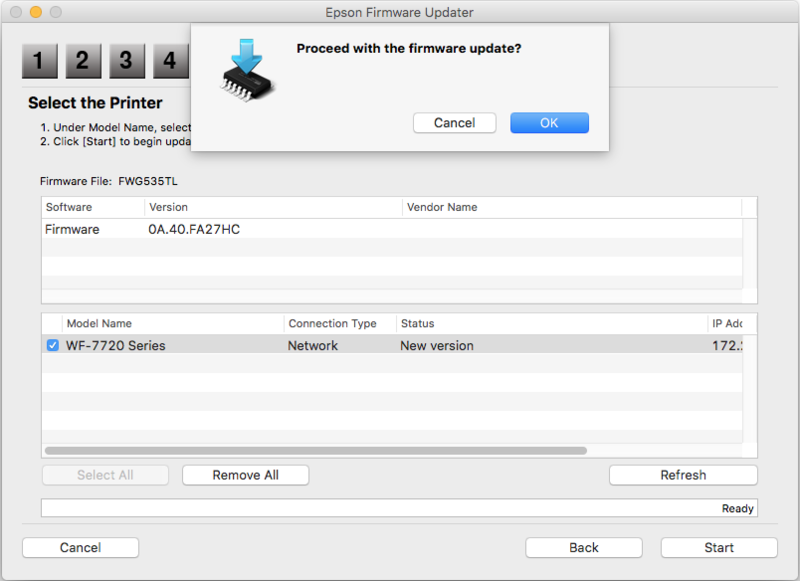 To run the firmware update utility, double-click the Epson Firmware Updater icon in the window that appears. Select I Agree and click the Next button. Click the Start button and then the OK button. Click the Finish button, then close the Epson Software Updater utility.